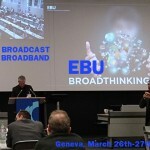 Nothing was more welcome after day 1 of EBU BroadThinking 2013 than a good night of sleep, in order to reset the tech hype counters and make some mental room for two new sessions on broadcasters’ CDNs and the latest advances of #hybrid platforms. What would be the best broadcasters’ CDN architectures today, what would be their smartest (green) evolutions, would CDN-Federation standards finally bring interop reality over hopes, what would be the most advanced deployments and future of HbbTV, how it compares with YouView in the UK : day 2 agenda was looking quite attractive – and indeed the presentations were packed with valuable informations and experience feedbacks. 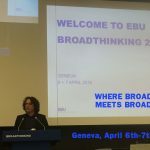 Where Broadcast meets Broadband : that’s the promise of the EBU’s hybrid event which flies between industry competition, standardization efforts and broadcasters’ realpolitik – all wrapped in a warm and funny ambiance provided by the various speakers and the EBU team. 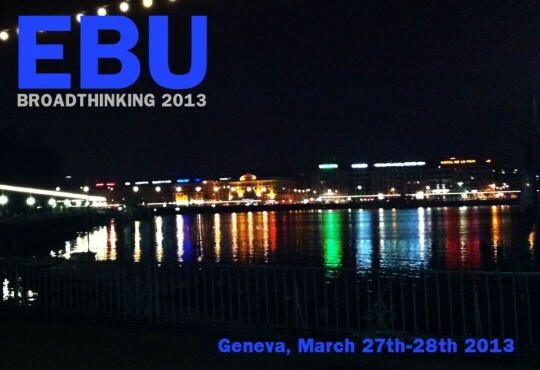 The 2013 edition was a major success because it allowed the participants to get a rather good idea of the general trends of the industry, and at the same time to go deep in technology when needed, while having opportunities to discover edge tech demos on the lobby attending the conference room. Here is our scenario : you are the technical director of a web startup, already having proven your talents with your thematic VOD streaming channel – and your boss suddenly thinks you’re a grown enough company to jump on the broadcast wagon and manage your own 24/7 live TV channel, targeting IPTV and multiplatform OTT, with a mix of some live studio shows and mainly pre-recorded programs. And of course readify it for later iTV DTT distribution. Quite an exciting challenge ! Fortunately, the web attitude has contaminated many industries with its desire to promote interoperability and avoid vendor lock-in with full-IP standard worflows. 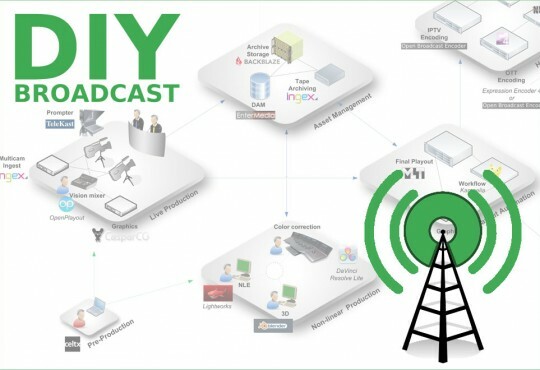 The BBC has shown the way for a long-time, funding many developments like the Dirac codec for its own needs of tapeless workflows and open-sourcing them quickly afterwards. 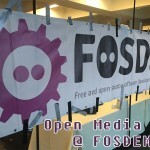 Other TV channels like SVT from Sweden (with CasparCG) and many independent developers have jumped onboard, and by combining their efforts with your usual web video tools like FFmpeg or other free tools, you can for sure build the target platform. In Esperanto, eltrovemo means "inventiveness"